The Future For Commuters?…Or Moms?!! Do we see this for us… Tell me Business Mothers? Although innovative, personally I need my X5 and a Louis Vuitton! It is basically an electric vehicle that folds up into a briefcase and can also be used as a trolley bag. 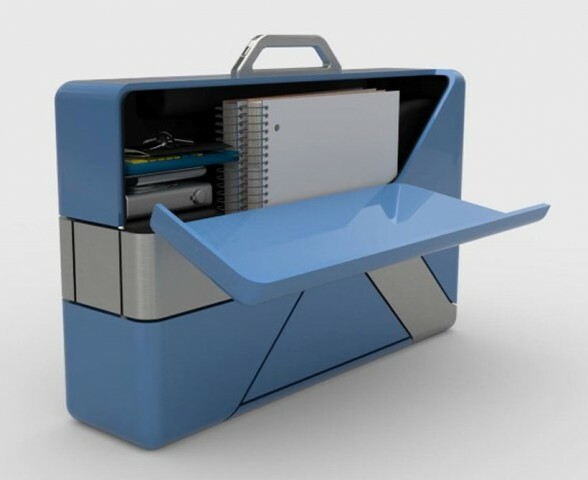 The briefcase is also fully functional with enough space to hold your laptop and other office necessities. This amazingly compact electric scooter weighs only 27 pounds, and has a range of 25 miles. The case can hold up to 275 pounds of weight and has a top speed of 12.5 mph. It’s weatherproof and has a manual handbrake just like the one on conventional bicycles. A cup holder and smartphone dock are also provided so you don’t have to worry about carrying your morning coffee and can easily check your phone on the go.